We can and should improve our communication skills. In particular, we have to practice better listening. This is so because it fosters better overall communication. Listening is important for two basic reasons. First, for the listener: the better the listening, the fuller the understanding. Second, for the speaker, appreciation of being heard, and acknowledged, is valuable on many levels. It is a human need to feel heard and acknowledged. Most of us don’t like it when we recognize that the listener isn’t really listening. Do you find it upsetting when you’ve told someone the same things several times and they seem to be hearing it for the first time? Are they distracted? Self-focused? Not interested? 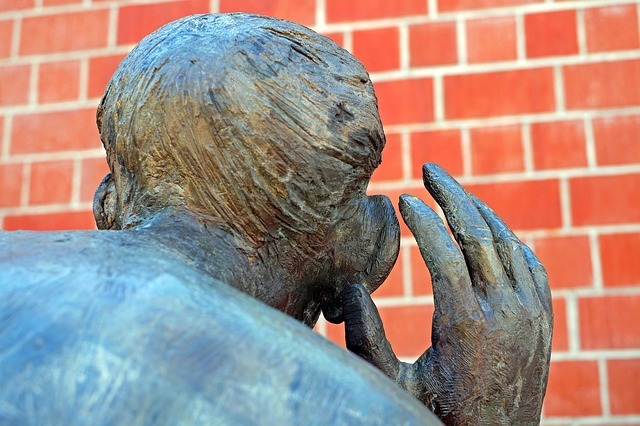 Whatever the reason, not listening can lead to major miscommunications. One part of communication, talking, is taught early on by parents and then in school. As adults, we find there are many opportunities to improve our speaking – so we can become more effective, clearer, and perhaps persuasive. Listening, however, the other part of communication, is mostly not taught anywhere. Interestingly the communication skill we use most is listening. Yet, many of us have not really developed this crucial skill. He listened to the first couple of sentences I spoke, and then what was to be a conversation shifted to him mostly speaking. We then practiced and it looked like this: he spoke and I listened. Then I spoke and he listened. There was more dialogue and interaction, and both more enjoyment and learning from the conversation. Did this take time to do? Yes, lots of practice. Most people ‘listen’ a certain way and have been listening that way for a while. I gave him the tools in order for him to create a healthy conversation style; one without interruption and monologue. First, you hear the information. Second, select the information on which you want to focus. Third, give the information meaning. Fourth, determine how you feel about it. It is also useful to ask questions that provide clarity and sharpen our listening skills. When you ask from a place of genuine curiosity, rather than making assumptions, you build trust. Level One: listening is a surface approach and is more self-focused. While the speaker is talking, at a certain point the listener stops listening and begins to think about their response or their thoughts focus so internally they feel they must interrupt because what they have to say is so important it can’t wait. This can leave the speaker feeling discounted. You should be aware of your self-talk (your inner dialogue) and shift your listening back to the speaker as soon as you realize it. Level Two: listening is also known as laser focused listening. The listener is attentive and focused on the speaker’s content, but not truly “tuned in.” At this level the listener is still listening to respond. The listener isn’t tuned into the feelings and thoughts of the speaker. Level Three: listening is where “presence” takes place. The listener pays attention to the speaker in order to hear the real content of what the speaker is saying. There is effort to understand the feelings and values behind the speaker’s words. This is a deeper level of listening. While it is not possible to be at this level all the time, raising your awareness can help you focus in on being as present as possible. In summary, remove as many distractions as your can; listen to what is being said and what is not being said; summarize what the speaker is communicating; verify and reflect, or restate what is being communicated; and pause and think before you respond to get the desired outcome. If both parties did these things, all conversations would have sensational outcomes.